The dramatic split of the Roman Empire preceded the establishment of the first Bulgarian Kingdom on the Balkan Peninsula in 681 AD. The consecutive military, cultural and economical influence of Byzantium over the Bulgarian nation claimed the newly established country to the side of the East from its birth. This propensity was sustained through the two Bulgarian Kingdoms (established respectfully in 681 AD and 1188 AD). It was renewed with even greater strength when the Ottoman Empire overtook the weakened country of Bulgaria in 1139 AD and for the next five centuries, the Orient claimed control of European Bulgaria. In 1878, Bulgaria was liberated from the Ottoman Yoke by Russia, but only to remain under its political and economical umbrella for the next 111 years until the fall of the Berlin Wall in 1989. This event reaffirmed Bulgaria’s belongingness to the East as the country joined the Central Powers throughout World War I and deliberately remained with the Axis Powers in World War II. Even when, on September 9, 1944, the Bulgarian Communist Revolution overthrew the monarchy and forced the country to move to the opposite camp of the war, Bulgaria’s allegiance remained with the Eastern of the Allies – the Soviet Union. This belongingness continued during the next 45 years to reform Bulgaria’s economical, political and cultural reality while transforming the Bulgarian mindset to a mentality which today remains the primary obstacle to Bulgaria’s integration in the free world. As the country of Bulgaria is now a member of NATO and awaits acceptance into the European Union in 2007, international experts are working with various government institutions and consultant agencies to create an atmosphere in which the Bulgarian mindset can experience a new national revival in the 21st century. NATO’s involvement in this process serves as a catalyst both for reinforcing Bulgaria’s infrastructure and attracting international interest in the country’s affairs. Issues concerning national security, military involvement, international relations, economical development and ethnic diversity are continuously and carefully taken into consideration. However, one issue still remains untouched neither by NATO’s official position in Bulgaria, nor by the Bulgarian government. This is the issue of faith. 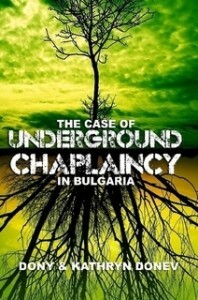 It is true that clear documentation for the presence of chaplaincy in Bulgaria may be difficult to produce, especially according to any modern definition of chaplaincy ministry. However, it would not be unfounded to claim that the practice of military priests acting as chaplains in the Bulgarian Army dates back to at least Bulgaria’s national conversion to Christianity under King Boris I in 863AD. Having adopted virtually all the characteristics of a religious state from Byzantium, Bulgaria utilized priests and liturgy in its military forces. During the time of the Ottoman Empire, the tradition of military priests ceased, as naturally Bulgaria had no army. 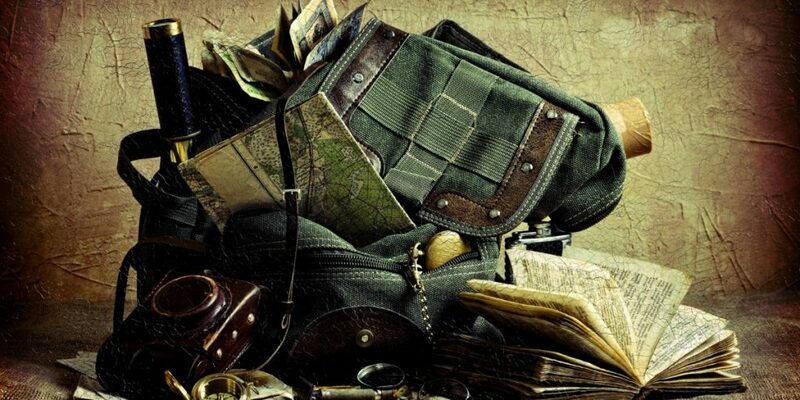 However, foreign representatives continuously carried the ministry of chaplaincy through the Bulgarian lands. Around the 14th century, immigrants from Dubrovnik found a diaspora in Sofia. In 1486, they built the Patrum S. Franscisci Cathedral. The assigned priest also ministered as a community chaplain. In the 16th century, German theologian Stephen Gerlah traveled through Bulgaria as a secretary to the protestant ambassador to Constantinople. Gerlah reports of the religious intolerance toward the Bulgarian population. Every military force dispatched to Bulgaria arrived with a chaplain. For example, British chaplains were active during the Crimean War. In 1860, Principle Chaplain to the forces of the East, H.P. Wright reported an outburst of cholera in the General Hospital at the Black Sea port of Varna. In 1879, the German prince Alexander Battenberg was enthroned in Bulgaria. The new monarch arrived with a personal chaplain, a Lutheran minister by the name of Adolf Koch. Koch was instrumental in organizing a commune of German immigrants and holding regular protestant services in a specially designed building. The royal entourage, German families, Austrian and Swiss merchants and bankers and Russian officers, attended these services. At approximately the same time, Bulgarian Orthodox priest resumed their position with the armed forces in various conflicts. Orthodox priests actively participated in the Russian-Turkish (1877-1878) and the Serbo-Bulgarian (1885) wars. It was during this period that the Bulgarian chaplaincy tradition was reestablished under the title “garrison priest” and Vladimir Solovyov first discussed the theology of war. The role of the Bulgarian Orthodox Church continues to be present during combat throughout the Balkan Wars (1912-1913), often called the “Orthodox Holy War” and “The Last Crusade.” Orthodox chaplaincy is also present in the two World Wars, but the orthodox theology of war viewing Bulgaria as the “New Israel” was completely destroyed when Communism overthrew the monarchy establishing a new regime. Religion was rejected as “opium of the masses” and the military chaplain for the next 45 years was replaced by the regiment’s politcommissar. Kratak Istoriheski Pregled. http://www.bukvite.com/studio/teoria.php?lid=48 (August 1, 2006). Stephen Gerlah, Dnevnik na edno patuvane do Osmanskata porta v Carigrad (Sofia: Izdtelstvo OF, 1976). Frances Duberly. Journal kept during the Russian War. (London: Longman, Brown, Green, and Longmans, 1855). Also, William W. Hall, Purtans on the Balkans (Sofia: n/a, 1938), 49, 61 and 249. “Realities of Paris Life”. The Dublin University Magazine: A Literary and Political Journal. Vol. LV (January-June, 1860), 166. Perhaps reference of general Arcadii Stolipin, who served as the governor of Eastern Rumelia after Bulgaria was divided by the San Stefano Treaty of 1878. “European Turkey Masson.” The Missionary Herald, Containing the Proceedings of the American Board. (July, 1878:74, 7). Report Girl’s School, 1881. Archive: American Board of Commissioners for Foreign Missions, Vol. I, 146. Annual Report, American Board of Commissioners for Foreign Missions, 1882, 26. H. Mayer, Die Diaspora der Deutshen Evangeliscen Kirche in Rumanien, Serbien und Bulgarien (Postdam, 1901), 440. Svetlozar Eldarov, Pravoslavieto na Voina (Sofia: Sv. Georgi Pobedenosec, 2004).